Serial, Parallel and USB interfaces are provided as a standard (Ethernet and WLAN available as options). The SLP-TX400 is fully compatible with market-leading programming language; SLCS, BPL-Z™, BPL-E™. Label Artist: Bixolon provides its custom label design program as bundle. It supports database connection as well as text, drawing lines and boxes, all kinds of graphics and 1D/2D Barcode printing. Included in the box: AC Adaptor, Power Cord, Manual, Ribbon Holder, Label Artist (CD) Factory Warranty: All Bixolon Label Printers have a standard factory warranty of 2 years, including the printheads ! 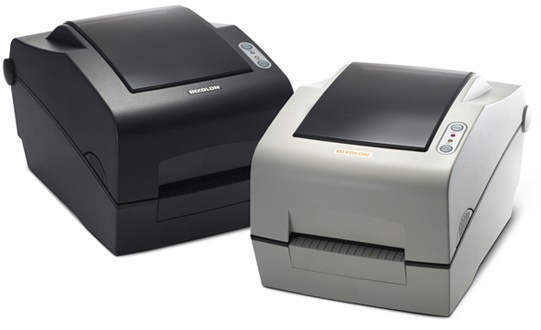 SLP-TX400 is BIXOLON’s NEW direct thermal/thermal transfer label printer for 4 inch wide printing. This high-quality label printer features fast print speed up to 178mm/sec(7ips) and high compatibility based on perfect emulation support. The SLP-TX400 label printer has Smart Media Detection function which automatically recognizes various types of labels when loading labels.